Synopsis: What your limbic system is and how it is important to your life of love and love relationships; what makes it unhealthy and how you can do three important things to make it healthier and in return get a healthier and more successful life of love is quickly covered in this mini-love-lesson. 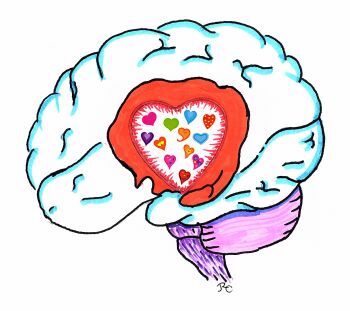 Do you know that your psychological heart lives mostly in the limbic system of your brain? Furthermore, your success at love may depend on the health of your limbic system. Your limbic system is a big part of your deeper brain that processes love and guides your ways of doing love relationships. It also gives you your higher more positive emotions, your ability to play and experience joy, plus much of what you do in all types of human interaction. It sits under your conscious thinking brain, or cerebral cortex, and largely above your ancient brain. Your ancient brain is the one which handles basic, physical functioning, simple and mostly negative emotions and rudimentary, impulsive and automatic behaviors. Thus our subject, “limbic love”. Increasingly scientists suspect that the limbic system is one of the most important parts of our brain. That is because it processes, motivates and guides our connections with others and pushes us toward cooperative advancements and improvements in of all kinds in all areas of life. It is our limbic system that guides us toward who and what to get interested in, connect with, enjoy and get involved with more deeply. It also processes our love of spouse, children, family, good friends, pets and our relationship with ourselves. It helps us feel connected and belonging, feel compassion, intimacy, altruism and empathy – all of which are involved in not only our cooperative survival but also in our team efforts toward mutual improvements, curiosity-based discovery and achievement. In science, increasingly our limbic system and its love processing is suspected of being the primary reason mammals advanced and became ascendant, surpassing so many other other types of life. Although the avian species also demonstrate love behaviors as did their ancestors the dinosaurs 200 million years ago; and many species have limbic systems. What Makes Our Limbic System Unhealthy? We are just beginning to learn about our limbic system’s health and what influences it. We have learned that our psychological way of going about life can have a strong influence on the physical functioning, biological operation and neurochemistry of everyone’s limbic system. This in return influences our psychological way of going about life. This can create a deterioration or ascension cycle strongly influencing our all over health. Certainly genetics plays a role and in some people a really huge role. There are those that are born with very unhealthy limbic system functioning which then causes severe emotional and mental illness. Such illnesses are becoming increasingly treatable neurochemically and psychotherapeutically. Love problems including inadequate love, the failings of false love, deeply painful love loss, non-love and overt anti-love training, covert subconscious anti-love programming and non-love life modeling especially in childhood but also in adolescence and adulthood, loneliness and isolation all are thought to have very negative effects on the health of a person’s limbic system. Unhealthy influences on the limbic system also include a number of other factors. Undue prolonged stress, physical and psychological abuse, psychological trauma, chemical and some behavioral addictions, physical injuries to the limbic system, prolonged severe insecurity, over-reliance on reason and/or focus on power acquirement, negativism and similar psychosocial things all are suspected of being unhealthful for the neurochemistry of our limbic system and its functioning. That is according to growing research evidence and our current, science-based understanding. How Can We Make Our Limbic System Healthier? Probably the biggest way to help yourself have a healthy functioning limbic system has to do with purposely going after and succeeding in attaining healthy, real love relationships. To accomplish such “limbic love”, following three things are strongly suggested. 1. (A) Study and learn all you can about how to productively think about love. 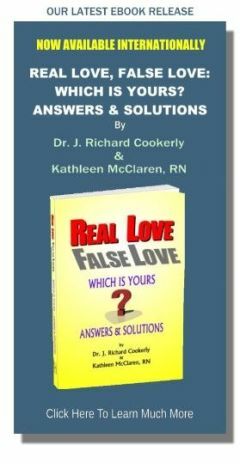 That includes how to identify real from false love, give and receive healthy real love, detox from anti-love influences, develop multiple types of love including healthy real self-love, spiritual love, altruistic love, and the knowledge of the behaviors that demonstrate, healthfully give, create and grow love. (B) As part of your love learning process, behaviorally experiment with using what you’ve been learning. As you learn more, work to hone your love skills and your enjoyment in using them. Celebrate your victories and learn from your failures realizing that love failures are best used as learning opportunities and are part of the natural love process. Then practice, practice, practice with actual actions always. 2. As part of your healthy, real self-love, develop living via positivity. Positivity has to do with having a realistic, positive, appreciative mindset, mood and approach to most of life and everyone in it. All sorts of research including brain chemistry and body health studies show that the more realistically positive and real love oriented people are more the real winners in life, health and most everything else. Negative and neutral just does not pay off in health and happiness, in most interactions with others and especially not in love relationships. You might want to Google Positive Psychology, read Positivity by Dr. Barbara L. Fredrickson and Dr. Victor Frankel’s famous work Man’s Search for Meaning which tells how positivity saved lives even in a Nazi death camp. 3. Actively reach out to others for social connection and purposely go after building your love network with some of the people you meet when you reach out. Don’t put all your love eggs in the lover, spouse, marriage love basket. All kinds of love can give healthy, enriching life to your existence. But, of course, love with a love mate or partner can be very important, and so can parent/child, family and deep friendship loves. Be sure that at least some of your love efforts are altruistic which, by the way, is turning out to be a biologic, limbic system, natural, love drive born within us. Positive connections with others are proving to be essential for limbic system health. Healthy, real love connections are the most healthful. Living like a hermit can be a prescription for love starvation. Living healthfully physically by way of healthful exercise, healthy diet, healthy environment, healthful behaviors and good healthcare also are quite important for having a healthy limbic system. Taking care of those factors can be seen as important ways for you to do healthy self-love as well as ways to assist your loved ones to live healthfully and happily (see Self-love – What Is It, Self-love and Its Five Healthy Functions and Self-Affirmation for Healthy Self-Love). So, help your limbic system function healthfully and the likelihood is it will help your love life to be more fully successful, happier and more fulfilled. ♥ Love Success Question: Who are you going to talk over this mini-love-lesson with because doing that helps you to better accomplish number 1. (A) above? Self-Love – What Is It?